Meet Desert Rose, a state-of-the-art home of the future, for the future. Designed by students from the University of Wollongong (UOW) and TAFE Illawarra, Desert Rose boasts a mix of dementia-friendly features and building design elements, many of which are not currently available on the market and won’t be for another five or 10 years. Not something out of a sci-fi movie Professor Tim McCarthy, Faculty Advisor for Team UOW Australia-Dubai, hopes Desert Rose will become a new standard in age-friendly design and win Team UOW their second Solar Decathlon when they take their design to Dubai in 2018. “Desert Rose is a house for life, catering for a couple who are currently active and considering their future, say in their mid-fifties,” Professor McCarthy said. Desert Rose is also dementia-friendly and largely inspired by the work of Dementia Training Study Centre director Professor Richard Fleming and Research Fellow at the Centre for Health Initiatives Dr Lyn Phillipson, both also from UOW. 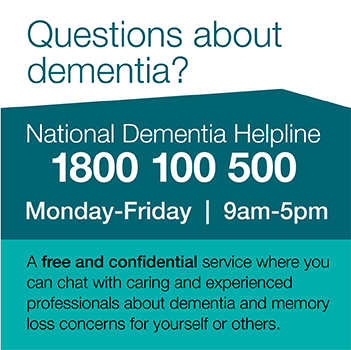 Professor McCarthy said consultation with members of the Kiama Dementia Alliance and Advisory Group initially influenced the design and evaluation of the prototypes as they arise would include the group and other consumer networks. Line of sight to key facilities - a person with dementia is eight times more likely to use the toilet (especially at night) if they can see the toilet bowl, the occupant of Desert Rose can see the bowl from their position in bed and from the lounge. Accessibility for people with limited mobility - doors and furniture allow easy navigation with a walking frame, which typically requires a greater turning circle than a wheelchair. No steps - you can drive a mobility scooter into the kitchen to unload shopping. Strong points - located in the wall frames allowing railings to fix to the bathroom wall and other places as needed. The ceiling in the bedroom has a built in strongpoint for connecting a hoist to get the person in and out of bed should the need arise. Sensors - activity monitoring using ubiquitous, but not intrusive technologies such as, low-resolution special infrared sensors that can recognise if someone is standing or lying down, or has fallen. Sensors in the bed can detect is the occupant has woken in the night which can trigger the bathroom light to turn on, followed by the vanity and then back to bed. "Ushering" like this can assist a person with dementia to function without the intervention of a carer. The house can learn the normal patterns of activity and trigger alarms for anomalies. Professor McCarthy said UOW research into user-acceptance informed the technologies and sensors, which could not be used as a fix-all. He acknowledged some people, may react badly to some forms of monitoring. Thermal comfort, contrasting colours (especially in the bathroom), brightness, mood and colour controlled LED lighting and retro looking devices are also important features of Desert Rose. “Research at the Sustainable Buildings Research Centre, co-supervised by Professor Fleming, has shown that thermal comfort is very important for the care of people living with dementia,” Professor McCarthy said. The Solar Decathlon is an international competition that requires teams to design and build an affordable and architecturally beautiful, net-zero energy house. The full-sized house must then be transported to the competition site in Dubai to compete against the top universities and vocational education and training providers from around the world. 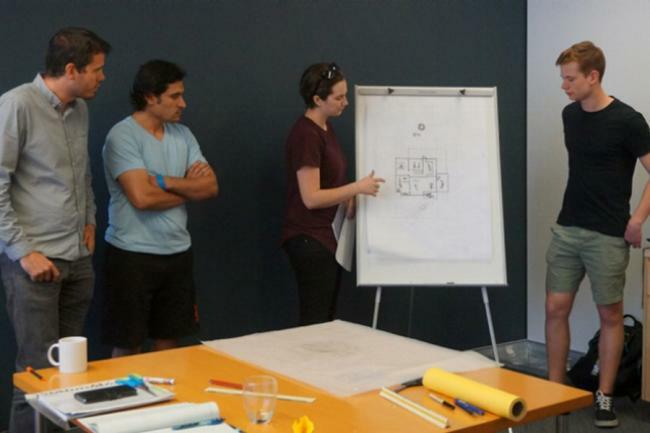 Twenty-two teams from 16 different countries will come together for the Solar Decathlon Middle East 2018 finals held in Dubai in November – including Team UOW and Desert Rose. Professor McCarthy said the thermal comfort aspects of Desert Rose fit well with the Solar Decathlon competition, as the house must remain between 22 and 25 degrees Celsius with humidity below 65% at all times. “Excellent insulation and air tightness help us to maintain these settings while using very little energy for heating and cooling,” Professor McCarthy said. Professor McCarthy said while it was not common for Australian homes (even new ones build to current code) to display such air tightness and energy efficiency, it is common in countries such as Germany where they have developed the Passivhaus standard. The features of Desert Rose are built-in from day one and allow for easy adaptation later. “They can be difficult to retrofit to an existing house if they have not been pre-planned while other aspects are easier to retrofit,” he said. While ultra-modern in terms of technology and design, the home uses retro looking devices with modern abilities. “We will avoid many new-fangled devices, which would be unfamiliar to a person living with dementia,” Professor McCarthy said. “Many people revert to what they experienced in their twenties or a particular period of their lives. Simple tap fixtures, lighting controls and communications devices are often better than the ultra-modern or automatic devices. Professor McCarthy said this was just a snapshot of Desert Rose and that Team UOW were keeping a few tricks up their sleeve ahead of the competition. “Of the 22 teams who are designing and building net-zero energy homes, Team UOW are the only team targeting this most important social issue,” he said. Professor McCarthy said even in United Arab Emirates where the population is relatively young, the demographics showed that by 2050 this will have changed with over 20% of their population being over 65. “So we believe that our house which has been named Desert Rose, after Sturt's Desert Rose (a flower that blooms in the most difficult circumstances) is a vital part of preparing not just Australia, but also the Middle East for the need of our ageing populations,” he said. 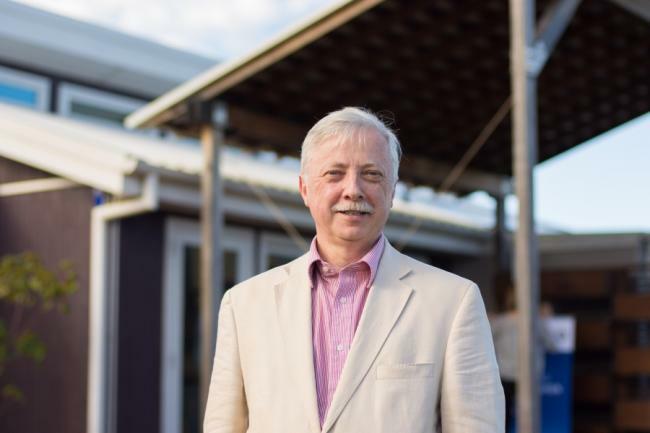 With a lot of interest from developers of retirement living units and age care providers Professor McCarthy hopes the dementia-friendly features of Desert Rose may be available on the market and part of the Australian Building Code more quickly. Keep up-to-date with the latest news from Team UOW’s Desert Rose and the Solar Decathlon Middle East 2018.